Ever wonder what folks in the Sturgis area do in the winter? The area is widely known as a motorcycle mecca and for its spring, summer, and fall recreation. Snowmobiles are a popular past time in the winter, but you can’t snowmobile all the time. So what do area residents do to keep themselves occupied? Among other things, they race outhouses! 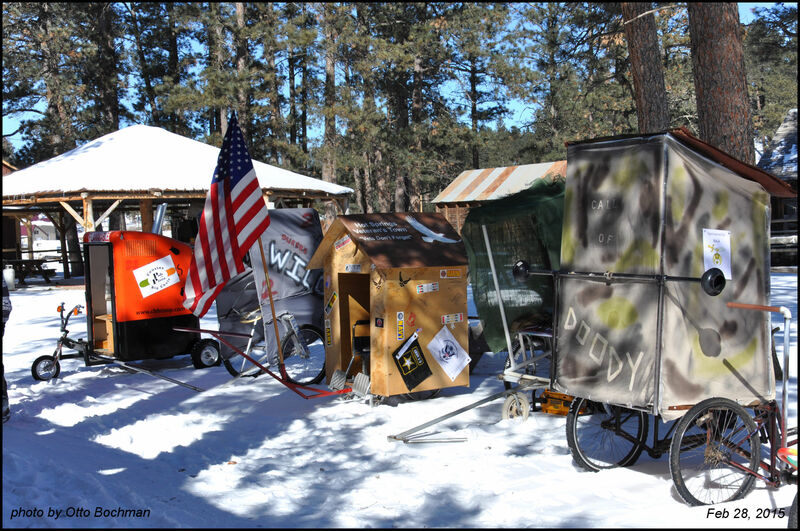 The Nemo 500 outhouse races are an annual fundraiser for the Naja Shrine Children’s Transportation fund. Teams build racing outhouses and compete against each other, with awards given for the best times. There is also a people’s choice award for the spectators favorite mobile privy! A chili cook-off is held as part of the event, and participation as a spectator is free of charge! Learn more about the Nemo 500, to be held in Nemo, SD on February 27, 2016, by visiting the official Nemo 500 website at nemo500.com.